Project Runway Season 4 was the most intense season ever. I caught a marathon the other day on Bravo and ended up watching the whole season. That was the season where Rami Kashou, Jullian Lewis, and Christian Siriano went head-to-head in the finale. That was the first season ever where I didn’t care who won, they were all excellent. But what stood out to me the most was Jillian’s knitwear. It was the first time a Project Runway contestant showcased their knit skills. Her pieces were so intricate and inspiring. 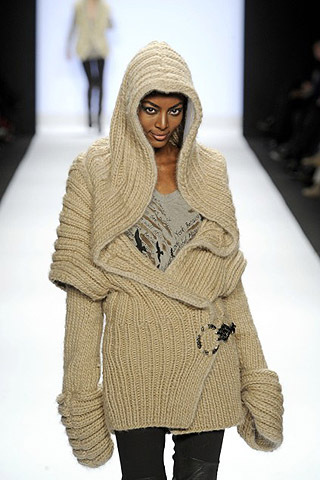 I recently caught the current season of Project Runway (now that its on Lifetime its not as exciting) and the winner Irina Shabayeva also showcased knitwear. One of the things she said that really stuck out to me was that all her pieces were hand knitted and not piece knitted. 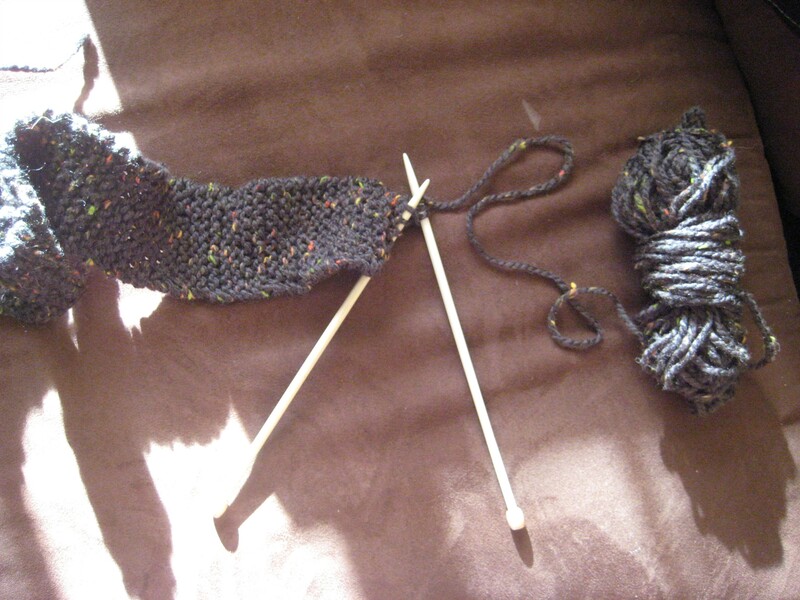 So…I learned to knit. Knitting seems like a really good skill for a designer to have . So here is my first scarf. Its of acrylic yarn and I am using number 6 needles. I learned how to “cast-off” and then continue with a garter stitch. Its not perfect just yet but I’m really proud of it. Hey you never know… you may catch me on the next season of Project Runway..